The device is intended for authenticity verification, detection of firearms and ammunition identification number falsification and restoration of original identification numbers. Regula 7517 is designed as a compact complex for desktop use. The workstation consists of a magneto-optical device Regula 7517A, an eddy-current magnetographing device Regula 7517B and magnetizing equipment Regula 7517C. Regula 7517 is optionally supplied with a portable PC for collecting, storing, processing, transferring and displaying information; peripherals Regula 7516. Eddy-current magnetographing device Regula 7517B. The device consists of a controller constructed in metal body and scanners used for non-destructive examination of the structure of electroconductive non-ferromagnetic and ferromagnetic materials. Magnetizing equipment Regula 7517C which is constructed as a magnetizing desk with brackets, planks, etc. The magnetizing equipment is intended for producing magnetic stray fields in thick-walled ferromagnetic objects and their registration during the examination process. One of the scanners selected according to the type of examined material (included in the delivery set of magneto-optical device Regula 7517A or eddy-current magnetographing device Regula 7517B) is connected to the controller. The scanner is moved along the examined surface. Magnetizing equipment Regula 7517C is used together with the scanners mentioned above for investigating internal stresses in thick-walled ferromagnetic objects. Pulse current flowing in the scanner conductor forms around it an alternating magnetic field which induces eddy currents in electroconductive material of the examined object. The eddy current trajectories and the corresponding magnetic stray fields show the lines of electric resistance formed on the basis of the size, form and location of defects on the examined object. Obtained magnetograms of magnetic stray fields are visualized by USB device for magneto-optical visualization which is included in magneto-optical device Regula 7517A. The visualized image is converted into a digital video signal. 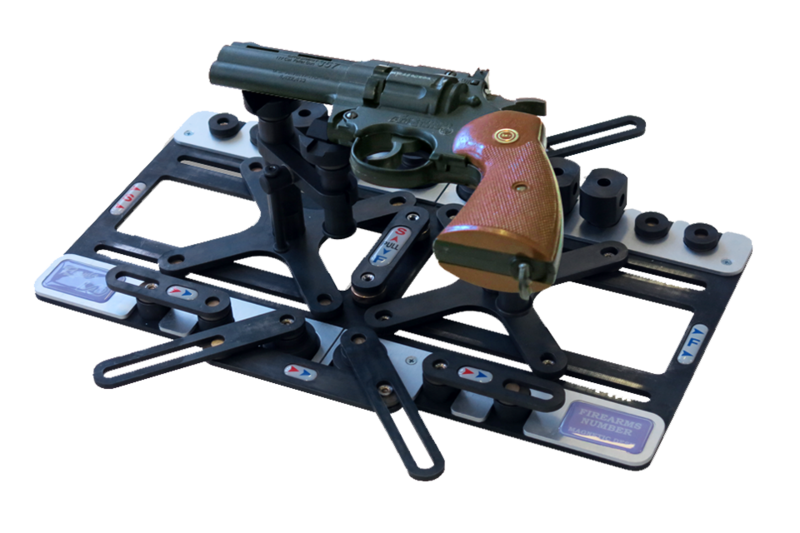 NUCA software processes the images of firearms and ammunition identification numbers.